Richie Ramsay says a dose of perspective as well as some All Blacks rugby documentaries are helping him deal with the pressure of keeping his European Tour card. The Scot sits 124th in the Race to Dubai rankings, and needs to get inside the top 110 to retain his full status. 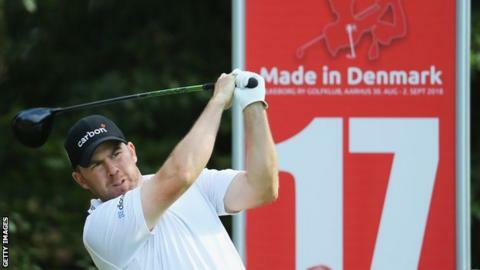 Ramsay, 35, shot a three-under-par 68 in the KLM Open first round. “There is a lot of pressure but you’ve got to put it in relative terms,” Ramsay told BBC Scotland. “We’re out here playing on great golf courses and it is our job, but there are so many people in the world who do jobs that are way tougher than ours – doctors, nurses, people who are in the military and stuff like that. The difference in Ramsay’s standing compared to 2017 is significant, when an excellent European Tour season led to him finishing 31st in the Race to Dubai rankings. After the KLM Open, the three-time European Tour winner has another three events to try to finish in the top 110 at least. “Last year was great, but I’m in a position now where I need to play well,” Ramsay said. “There is an element of pressure but I enjoy that pressure. That’s what I practice for, so I try to thrive on it instead of letting it get to me. “It sounds funny, but I’ve been watching quite a lot of documentaries. A lot of stuff on Richie McCaw and the All Blacks and the way they have a certain work ethic and apply themselves every day. “They’re always seeking new ways to get better and I try to replicate that and take inspiration from it.